Google has released its second Android Security Annual report, and it's full of big, impressive numbers. The full report is 49 pages long and covers the state of Android security in detail, but the basics are covered in Google's latest blog post. The gist is, Google scans all the things to keep Android users safe. We're talking about billions of apps; the Verify Apps service sure is working overtime. Google expanded the capabilities of Verify Apps a few years ago to operate continuously rather than only when apps are installed. This helps Google better protect Android users from apps that are installed from outside the Play Store, which has its own separate server side analysis of apps. The report says that Google is scanning 6 billion apps every day on 400 million devices. That's bananas. Plus, Android users with Chrome have Safe Browsing built-in to protect them from known unsafe sites. 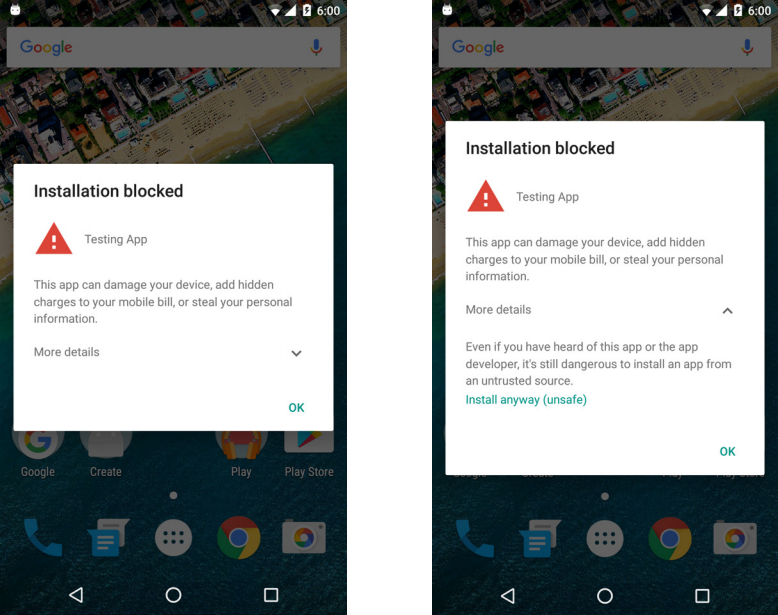 On the store side, Google has worked to reduce the likelihood of potentially harmful apps (PHAs) making it to users. PHAs that collect user data were down 40% to 0.08% of installs, spyware dropped 60% to 0.02% of installs, and "hostile downloaders" were down 50% to 0.01% of installs. Google says 0.15% of devices that only downloaded from the Play Store ended up with a PHA (that's not necessarily the same as malware or a virus, by the way). Meanwhile, devices that installed apps from other sources were up at 0.5%. That's exactly why Verify Apps exists, to identify these threats. The full report is interesting if you really want to dig into the details. In addition to the above, it also includes information on Smart Lock, platform security, and more.